The tail end of this sand spit changes daily with the tides. 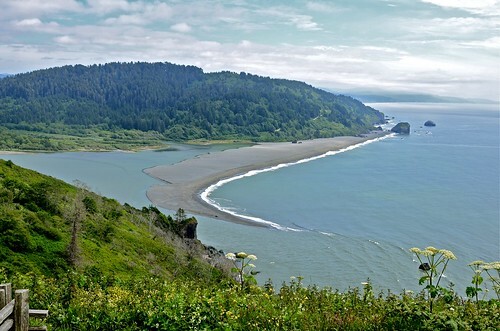 In this image, there are Native Americans (of the Yurok Tribe) tending their fishing nets out at the very edge of the spit. Deaths have occurred here from people being washed off and taken out to sea I'm told. The longer I'm here, the more beauty I see all around me.